Filling a void in Opel's range left a long time ago by the Frontera, the Antara borrows from the parent company, General Motors, to provide an SUV with an Opel badge. Filling a void in Opel's range left a long time ago by the Frontera, the Antara borrows from the parent company, General Motors, to provide an SUV with an Opel badge. Available elsewhere (in slightly restyled form as the Chevrolet Captiva), the Antara aims a little bit higher upmarket than its American twin, with higher prices to match. Competing against established and formidable competition from Japan - Toyota's RAV4, Honda's CR-V and any number of Nissan's SUV offerings (not to mention Ford's Kuga and Volkswagen's Tiguan) means it has not made a huge impact in Ireland. 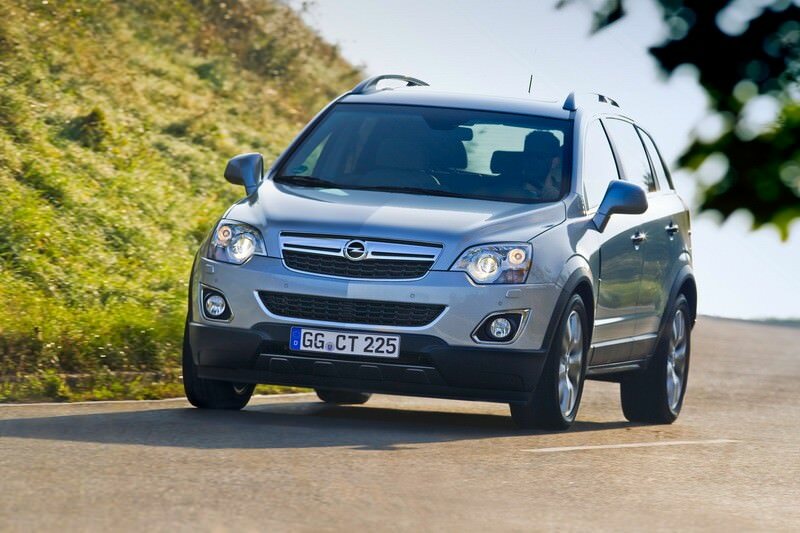 Opel's lack of an SUV in the years prior to the Antara arriving has rather left it floundering. There's not that many Antaras in our classifieds, though just enough to be picky. That's unless you're after anything other than the 2.0-litre CDTi diesel engine, which makes up the bulk of the offerings, with only a tiny number of 2.4 petrol offerings available. You'll want the diesel, for both its tax friendliness and better economy. Trim lines follow the usual Opel fare, so there's SE, Elegance, Sport and Elite. SE and Elegance are well enough equipped for most, but if you're after almost everything imaginable inside then you'll need that Elite model. There's a commercial variant too, if you need a working rather than family vehicle. All models come with air conditioning and alloy wheels and an adjustable steering column and electric mirrors. The 2.0-litre turbodiesel engine was offered in 127- or 150hp guises, the 150hp model reaching 100km/h in 10.3 seconds compared to the 12.8 seconds time of the lesser output car. In reality on the road it's less obvious, the torque shortfall not so gaping; the 127hp model delivers 295Nm of torque and the 150hp version offers 320Nm. If you're towing you might appreciate the bigger engine's slightly easier nature. Both are fairly vocal if pushed, though there's little reward in doing so, as the Antara is not particularly enjoyable, nor sophisticated in how it drives. Spacious, decently built and simply styled it's not without merit, though it doesn't excel in any particular area - making it a tough choice in a class that's got plenty more appealing choices in it. There's only one engine choice really, and that's the 2.0-litre CDTI unit with the lower output. The extra power of the 150hp engine isn't worth the additional outlay you'll be asked for it, unless you really must have more power for heavy towing or the like. A latecomer to a class that's largely dominated by the Japanese firms, the Antara struggles to make a case for itself against them. Both ordinary to drive and to look at when you take European rivals like the fine driving Ford Kuga and classy upmarket feeling Volkswagen Tiguan into consideration the Antara has little going for it but its size.